In the context of global efforts to control the production, distribution and use of narcotic drugs, China's treatment of the problem provides an important means of understanding the social, political, and economic limits of national and international policies to regulate drug practices. In the nineteenth and early twentieth centuries, China was known for its national addiction to opium, but its drug-eradication campaigns from the 1950s to the 1970s achieved unprecedented success that ultimately transformed China into a "drug-free" society. However, since the economic reforms and open-door policy of the late twentieth century, China is now facing a re-emergence of the production, use and trafficking of narcotic drugs. 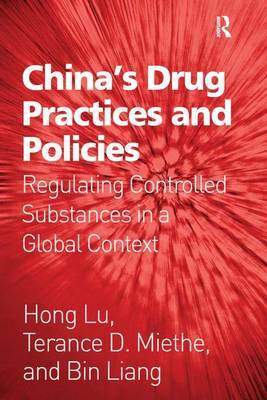 Employing case studies and a comparative historical approach, and drawing on a variety of data sources including historical records, official crime data only recently made available, and news reports, this book is the first English-language publication to provide such a comprehensive documentation and analysis of the nature of China's legal regulation of controlled substances. The authors also offer theoretical approaches for studying drug regulation, aspects of drug consumption cultures, the socio-political treatment of drugs during various historical periods and ongoing efforts to legislate drug trade, criminalize drug use and manage the drug addict population within national and international contexts.